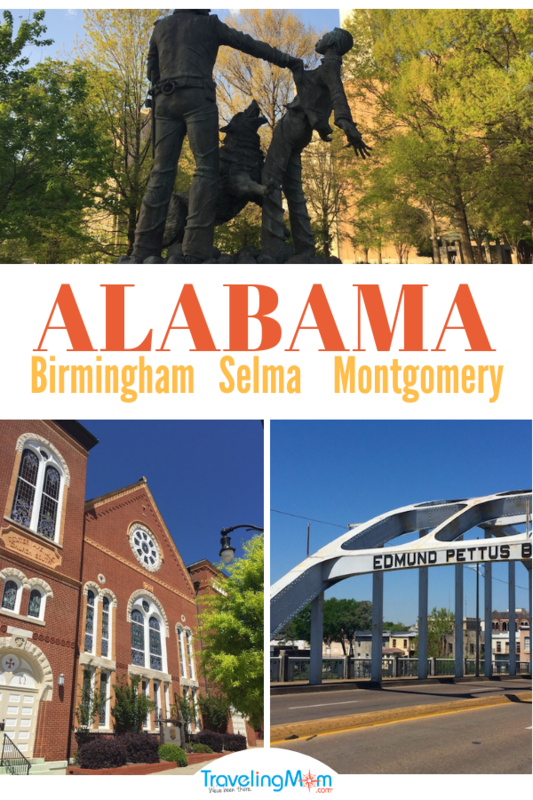 On an Alabama road trip, you can explore civil rights museums, be inspired by civil rights history, and wander through wonderful bookstores for kids and adults. And of course, there’s plenty of great Southern food to enjoy along the way. 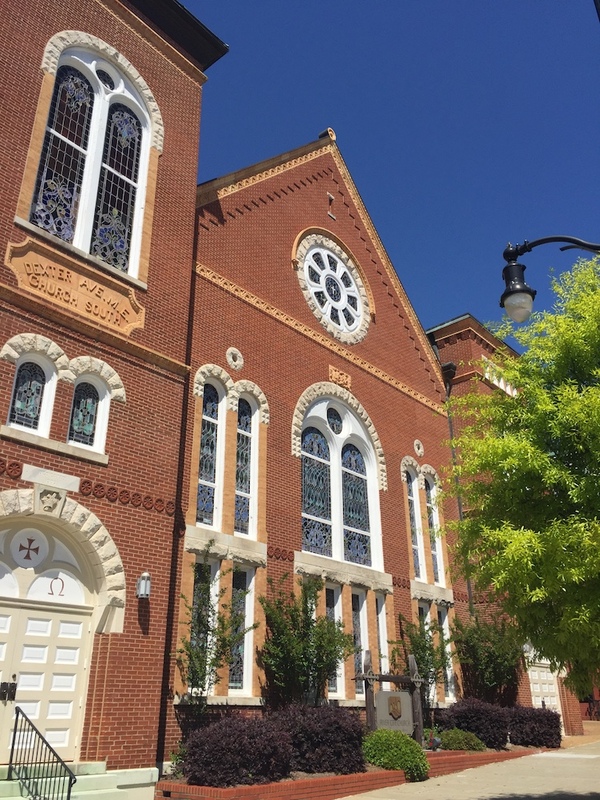 Check out unique places to visit in Alabama, including places to go in Selma, Montgomery, and Birmingham, Alabama. 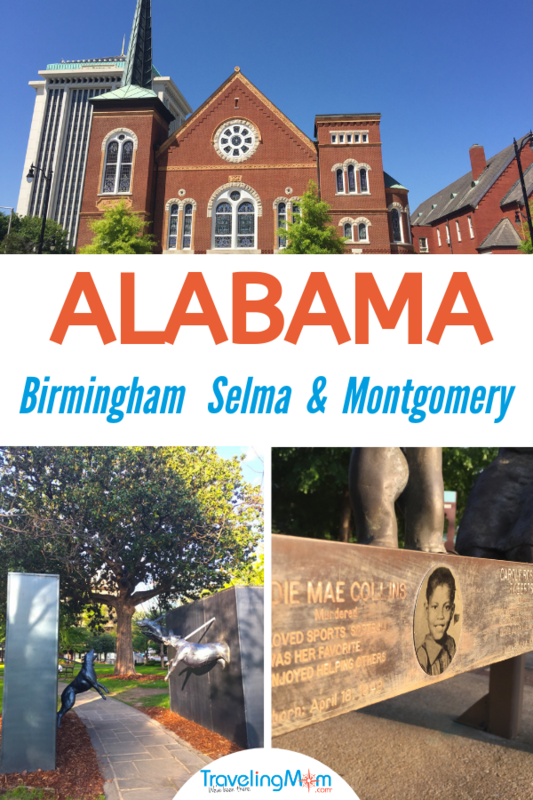 My husband and I took an Alabama road trip and enjoyed delicious Southern food while learning inspiring American civil rights history. Read on to learn about my suggestions for a wonderful, educational road trip to Alabama. Have you heard of the teenagers who marched in Birmingham in 1963 to end segregation? Although police tried to stop the marches by turning fire hoses and police dogs on the kids, the marchers continued. And police arrested hundreds of kids. Today, a Birmingham park where the kids marched is an open air civil rights museum that tells their story. At the park, we saw powerful sculptures of the marchers, fire hoses, and police dogs. Plus we learned the history from a free audio tour of the Park, available via signs in the Park. Importantly, across the street is the Sixteenth Street Baptist Church, where the teenaged marchers gathered. It’s the same site where, several months later, Klan members murdered 4 girls by firebombing the church. Now, the Park honors those murdered girls with sculptures. Curiously, while we just stumbled on Kelly Ingram Park, it was a highlight of our Alabama road trip. This civil rights museum explains American life under racial segregation and activists’ struggle to overthrow it. 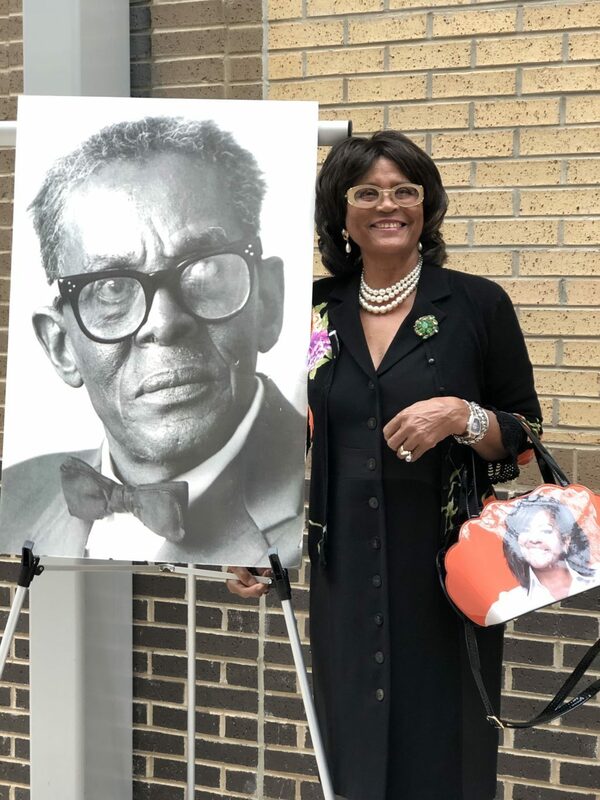 Secondly, the Birmingham Civil Rights Institute focuses on ordinary people who did extraordinary things to fight segregation in the 1950s and 60s. Like the one thousand Birmingham teenagers who, in 1963, marched to end segregation. Despite police using fire hoses and attack dogs to try to stop them, the kids kept marching. Check out the video interview of a bloody Freedom Rider, lying in his hospital bed recovering from injuries by white supremacists, and vowing to continue protesting. Finally, it includes voices of segregationists. Especially chilling was a video of white 1960’s Birmingham political and social leaders, politely justifying segregation. In fact, this Birmingham Civil Rights museum is worth a special stop on an Alabama road trip. Traveling Mom tip: We were glad we visited the excellent kids’ section of the museum bookstore. I enjoyed a memoir by a teenager who protested segregated buses, Claudette Colvin: Twice Toward Justice and Simeon’s Story: An Eyewitness Account of the Kidnapping of Emmett Till, by Till’s cousin. The movie Selma inspired my husband and me to visit Selma, Alabama. The movie told the story of civil rights marchers beaten on the Edmund Pettus Bridge for trying to register to vote. We felt that inspiring history come to life as we walked over the Bridge. Currently, at the foot of the Bridge, there are reminders of the voting rights march. For example, historical markers explain the significance of the Bridge. And plaques honor leaders of the Selma march. 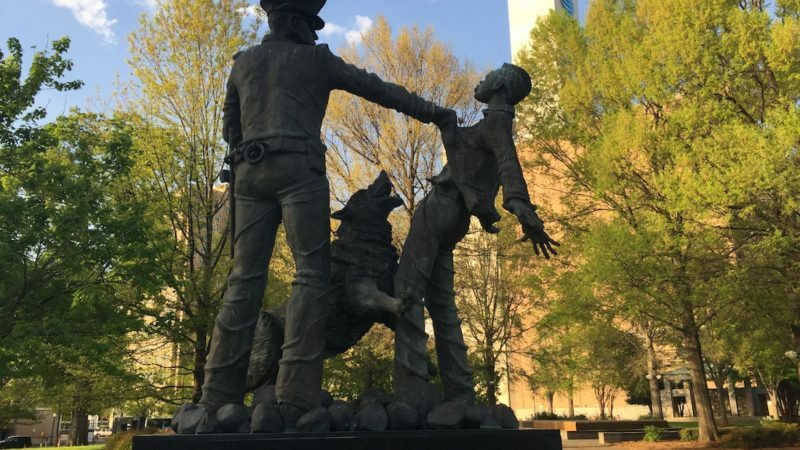 Plus, a powerful memorial honors lynching victims. 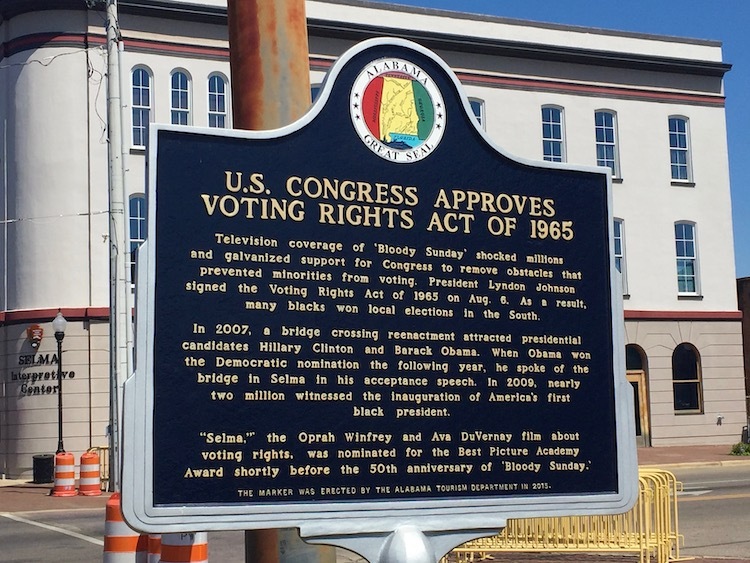 Traveling Mom tip: The National Voting Rights Museum is open Monday-Thursday, between 10 a.m. – 4 p.m. and only by appointment Friday – Sunday. The Interpretive site is open Monday – Saturday. On the road between Selma and Montgomery, we stopped a few places in rural Lowndes County, Alabama. First, to better understand the 1960’s civil rights struggle to register Black voters, we visited the Lowndes Interpretive Center, run by the National Park Service. Using photos, interviews, and even sculpture, the site tells the stories of voting rights activists and the violent reaction they faced. Second, we visited Hayneville, Lowndes County, where voting rights activist Jonathan Daniels was murdered in 1965. 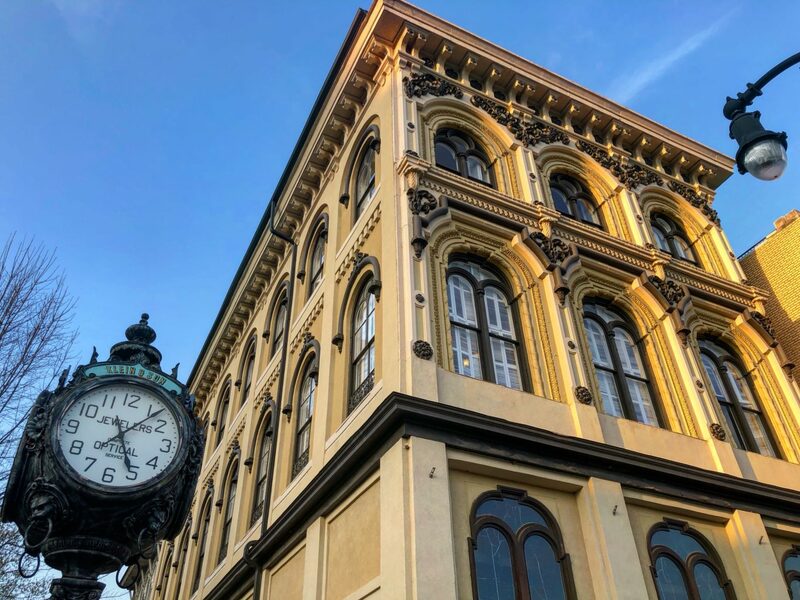 Seeing the jail where he’d been held, the courthouse where his murderer was acquitted, and a memorial to him, all helped us grasp this tragic history. Third, we visited a roadside memorial honoring Viola Liuzzo, a woman murdered in 1965 for driving voting rights activists to Selma. Rosa Parks was a civil rights activist who fought against segregation. In 1955, Montgomery police arrested her for refusing to give up her seat on a bus to a white person. Famously, her arrest led to the Montgomery Bus Boycott. And the boycott helped spark the national civil rights movement. This civil rights museum dramatically recreates Rosa Parks’ arrest. For example, a video projected on a life-sized bus helped us visualize the arrest, in real time. And how Rosa Parks used her training in non-violence to peacefully hold her ground. We also enjoyed the introductory video, photos, and artifacts in other exhibits. Plus, the museum is on the spot where Parks was arrested. Traveling Mom tip: While we didn’t have kids with us, kids would easily understand this civil rights museum. There is even an exhibit geared at younger kids, called the Time Machine. Each jar of soil honors the memory of a lynching victim. (Photo credit Sarah Ricks). In downtown Montgomery, we visited the Southern Poverty Law Center memorial to civil rights martyrs, a sculpture located outside. And adjacent to the sculpture is the Civil Rights Memorial Center. Unlike the outdoor sculpture, the inside of this civil emotionally intense civil rights museum uses video, photos, and text to tell the stories of forty people murdered for racially-motivated reasons between 1955-68. In 1961, an integrated group of clergy and students tried to use segregated public waiting rooms at bus stations in towns across the south. Which prompted violent reactions from some white supremacists. Unlike in 1961, now the former bus station in downtown Montgomery houses the Freedom Rides Museum. Although it is just one room, we learned a lot from both the exhibits and the helpful guide. Also, the huge photos and text outside the museum are packed with information. These two brand new sites make Montgomery, Alabama a must-visit location for anyone interested in American history. This emotionally gripping museum tells stories of Black people in the U.S. from slavery, to segregation, lynching, and mass incarceration. And it doesn’t sugarcoat. In fact, to help us vividly feel this history, it uses life-sized video, photographs, interactive exhibits, public signs, and even art. For example, one simple but moving exhibit is a collection of glass jars, each filled with dirt. 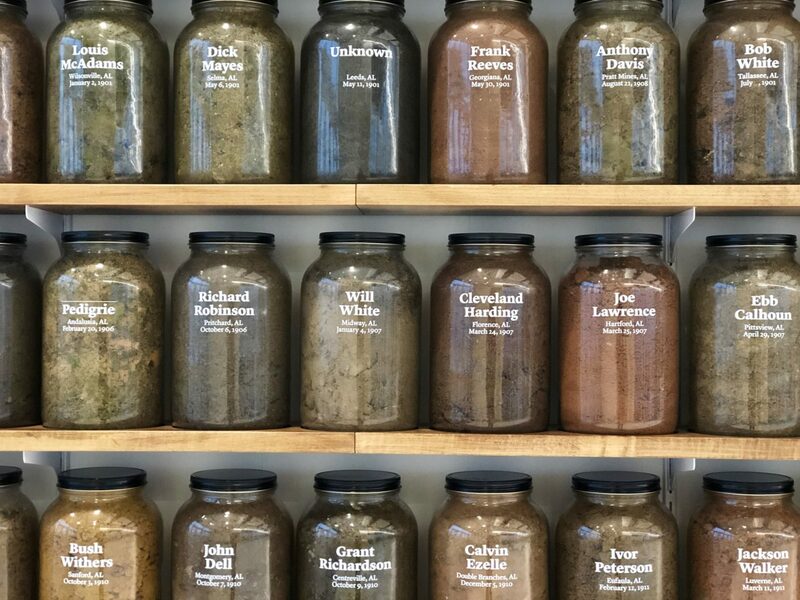 Each jar has the name of a lynching victim, a date – and dirt collected from the murder site. And while this brilliant museum is intense, I think kids over 11 could handle it. Also on the day we visited the Legacy Museum, we visited its companion site, a memorial to lynching victims. The outdoor Memorial is located in a garden, about a mile from downtown Montgomery. Unlike the Museum’s broader scope, the Memorial focuses on honoring 4400 lynching victims, murdered between 1877 – 1950. This independent bookstore and publisher in Montgomery specializes in fiction, civil rights, Civil War, and the South. Plus, it hosts speakers. And we tried out their couch, once owned by Montgomery civil rights activists Arlam and Johnnie Carr. 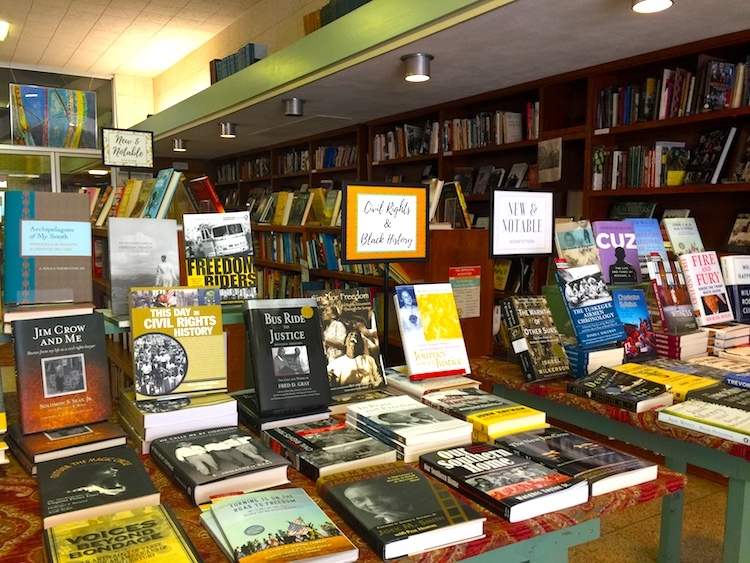 Bonus: The Read Herring Bookstore is within easy walking distance of nearly every Montgomery site and restaurant in this post. Have you tasted corn pudding? My life is better because I tried it at Cahawba House Restaurant in downtown Montgomery. And a relaxing barbecue break was perfect between the fascinating but emotionally intense civil rights museums. For breakfast, we enjoyed both Cahawba House and at The House Restaurant – especially the cornmeal hoecakes and smoked sausage. We celebrated our last night in Montgomery with a delicious blowout farm-to-table meal at the upscale Central restaurant. In downtown Birmingham, we visited the cheerful Pizitz Food Hall. 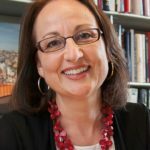 Local entrepreneurs serve up Indian, Ethiopian, Mediterranean, and other prepared food. Of course, flaky southern biscuits. And it was a pleasure to eat outside in the sunny courtyard. 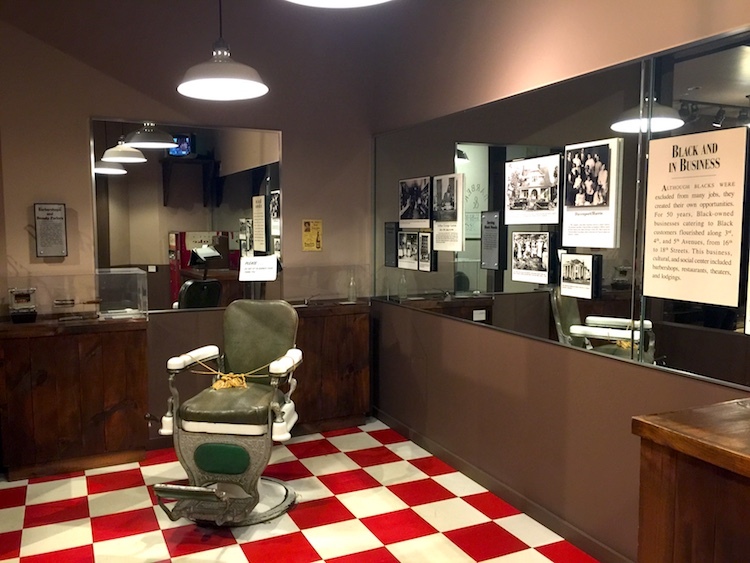 If American civil rights museums appeal to you, check out ideas for Mississippi, New Orleans, Louisiana, Nashville, Tennessee, and Memphis, Tennessee. 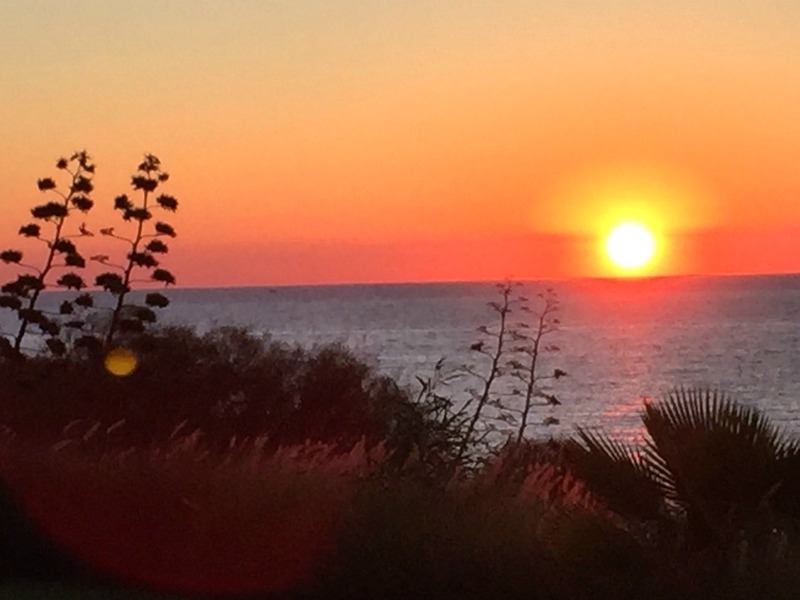 Does an Alabama road trip appeal to you? Tell us about it in the comments.